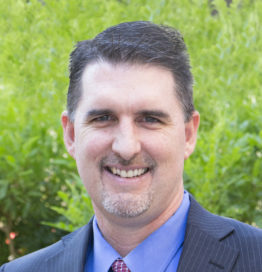 Thomas J. Betlach, MPA has served as Director of the Arizona Health Care Cost Containment System, Arizona’s single state Medicaid agency, since 2009. Mr. Betlach reports to the Governor on the AHCCCS program, which currently provides health care coverage to 1.6 million Arizonans at an annual cost of $12 billion. modernized operational processes and systems, including enhancing data analytics in Medicaid. In recognition of his expertise, Mr. Betlach was selected by his peers to serve as President of the National Association of Medicaid Directors. In addition, the Congressional Budget Office named Mr. Betlach to its prestigious Panel of Health Advisers. Before becoming AHCCCS Director, Mr. Betlach served as the AHCCCS Deputy Director for nearly eight years. Before that, he served as the state Budget Director for five years. Mr. Betlach earned his bachelor’s degree in political science from the University of Wisconsin and his master’s in public administration from the University of Arizona.